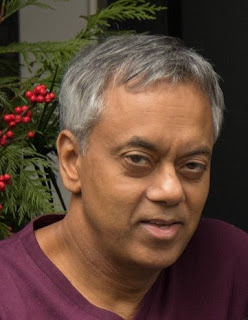 Praveen Varshney (Varshney Capital) There is so much reeking with promo for dopos Good Life Networks - GOOD.v it is far from funny. 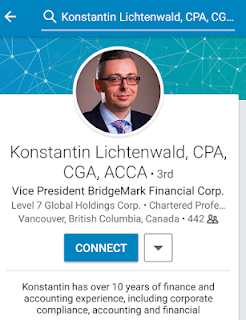 A completely insulting 'Black Box' from a career radio jockey and the CFO remains, months after exposure, BridgeMark posterboy Konstantin Litchenwald. For most with any intelligence that would be more than enough to run for the hills ... and that's ignoring accounting that ain't anywhere near the accepted variety. 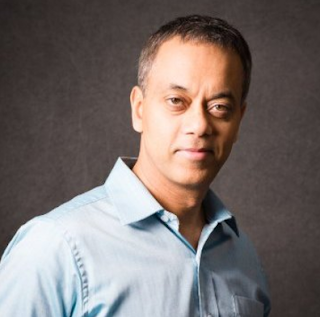 Latest revelation is the connect to GOOD.v director (Praveen) Vareen Varshney of Varshney Capital. As far his name switch goes, WTF is up with that? Is this not the same dummy? (Praveen) Vareen Varshney knows well who jailed securities scuzbag Aly Babu Mawji is. That is so because Mawji was working at Varshney Capital when he ran his criminal pump and dump of De Beira Goldfields. In the world of securities the connect to a criminal under your own roof is precisely the same as having a hand in that criminal's fraud. So GOOD.v director (Praveen) Vareen Varshney is tarred by association. Good Life Networks has 2 executives that ought not be running a dog chit collection business. Buyer beware indeed, these k9s will be needing to produce audited financials in 10 weeks and that's about how much longer this wicked PoS has to lasso public idiots.